Nickelodeon’s Double Dare was probably the slipperiest, sloppiest, and slimiest game show in TV history, an iconic piece of the network’s identity that showed a generation of kids and families how much fun it can be to put on a jump suit, answer some trivia questions, and just dive headfirst into a big, snot-filled nose or whatever. Now, though, Nickelodeon has announced a new game show that is essentially a rejection of everything Double Dare and Nickelodeon itself once stood for. In other words, as horrifying as it sounds, it’s literally a show about staying clean. Titled Keep It Spotless, the show will be hosted by difficult-to-see wrestling man John Cena, and a press release says it’ll be about “kids competing in a variety of physical and paint-filled challenges” where the goal is to not touch any paint. At the end of each round, some kind of machine will scan each kid and scientifically determine how much paint got on them, with the winners being the ones who stayed the cleanest. Clearly, “PC culture” has finally gone way too far. 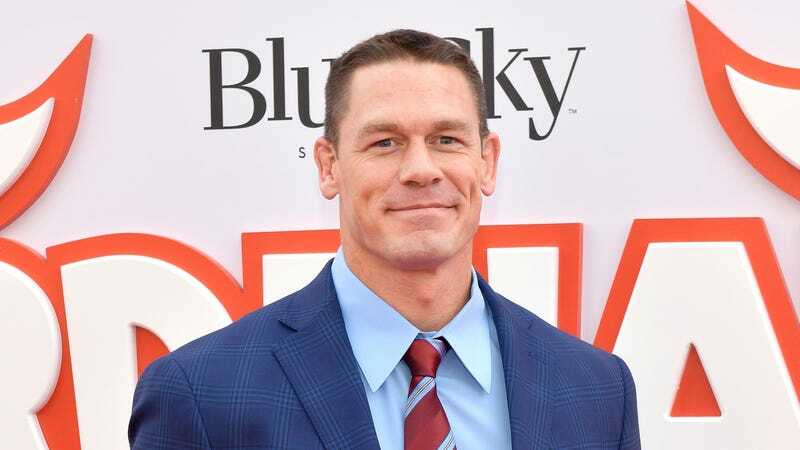 In addition to hosting Keep It Spotless (which will premiere later this year, Cena will also appear on Teenage Mutant Ninja Turtles as a bad guy named Baron Draxum, and he’ll host the 2018 Kids’ Choice Awards in March.